Venus Legacy™ is a great best option for fighting stubborn fat areas and cellulite. It combines VariPulse™ technology with proven 3D™ MP2 energy, causing it to travel deeper into the skin resulting in increased blood circulation, immediate plumping, and glowing skin. 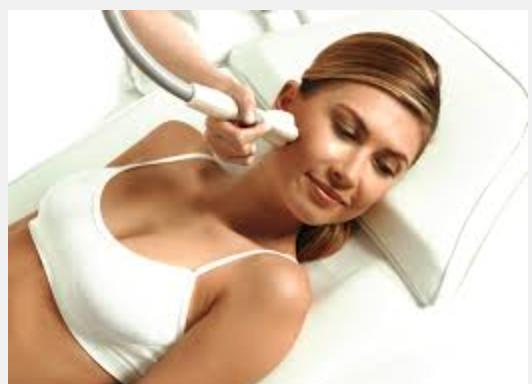 It's a non-surgical beauty treatment for the face that is like a flat iron for the skin. Venus Legacy™ radio-magnetic technology helps rejuvenate the skin from the inside-out and tightens it. The skin is heated to a high temperature but it’s not hot to you that much because they keep moving the device. The high temperature maximizes new collagen production. It does not burn and there is no down time. It’s non-invasive and tightens many body parts: the loose skin on the face, neck, upper arms, stomach, abdomen. Venus Freeze came before it, this one is better. It focuses on collagen production and restoration. It’s the first all-in-one workstation that combines the proven multi-polar + magnetic pulse (MP)² technology with the new VariPulse™ feature that will enhance your client satisfaction and deliver an impressive return on investment. Venus Legacy™ is the first and only FDA cleared device to utilize 4D™ technology, combining Multi-Polar Radio Frequency (RF), Pulsed Electro Magnetic Fields (PEMF) and VariPulse™ technology (VP), with RealTime Thermal Feedback. This allows the Venus Legacy™ to deliver safe, pain free treatments and superior outcomes.